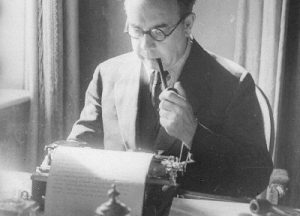 JB Priestley writing in the early 1940′s. 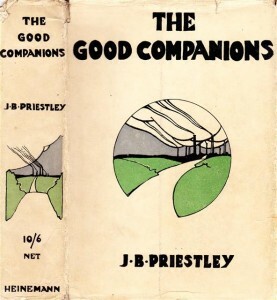 Courtesy of Special Collections, University of Bradford. 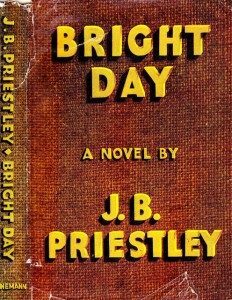 John Boynton Priestley (1894-1984) was born in Bradford, West Yorkshire. 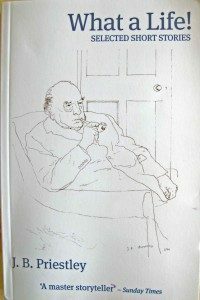 He wrote over a 150 individual published works – novels, plays, essays & pamphlets. He served in WW1 in the front line at Flanders and was wounded several times. During WW2 he gave patriotic broadcasts on Sunday nights on radio. The character, Quin Savory in Graham Greene’s Stamboul Train (1932) was based on Priestley. 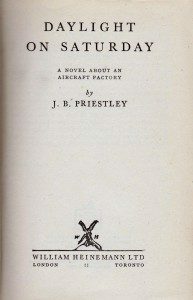 JBP was co-founder of CND. 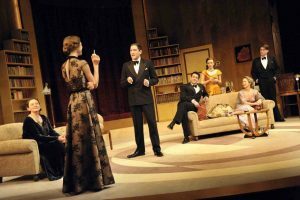 Just when you are thinking, what a pity no one puts Priestley’s plays on much anymore, along come two in the same month – February 2013. And I was lucky to catch both: one locally at Salisbury Playhouse; the other at the Royal Lyceum Theatre, Edinburgh.